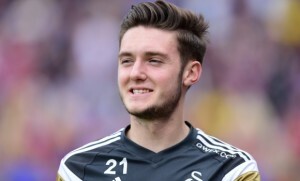 Happy Birthday to England Under 20 captain and Swans midfielder Matt Grimes who turns the ripe old age of 20 today! Grimes who signed for the Swans in January this year for £1.75m from Exeter City, has impressed during his three substitute appearances to date. He made his debut in the 3-1 win against Hull City on 4th April and followed that up in the away games against Newcastle United and Crystal Palace. The England U20 international is certainly one to watch out for in the future having already played 9 times for his country and having been captain in 4 of those games. In June, he captained England to 4th place in the Toulon Tournament. Matt Grimes is no stranger to international honours however having represented Great Britain in ultimate frisbee, due to him being junior national champion at the time! You can follow Matt on Twitter and Instagram.